Want To Splast Around In the Natural Swimming Pool of Trindade? 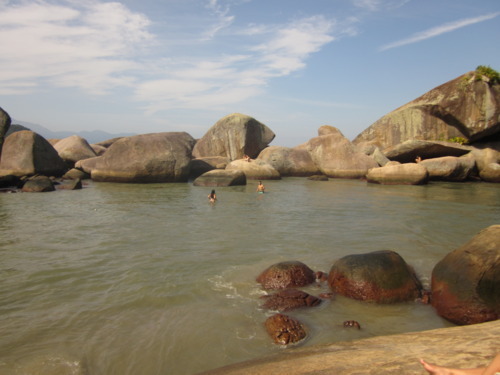 While in Paraty, take a 30 minute drive over to Trindade where you will explore incredible beaches with the natural beauty of the mountains surrounding you. 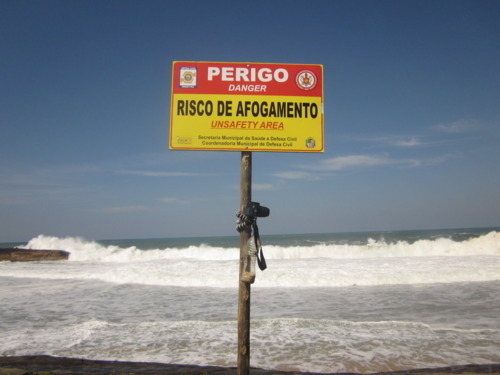 For the first stop on our tour we went to Praia do Cepilho, waves were 10-15 feet high! Finally you will arrive at Caixa d’Aço the natural swimming pool. 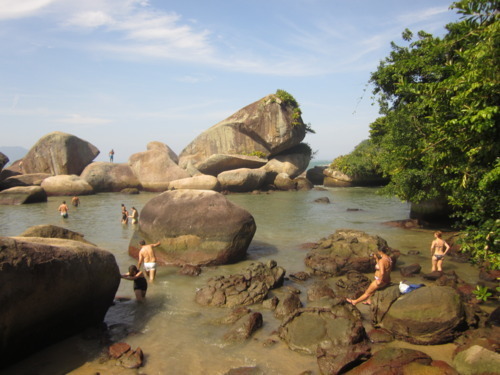 It is pretty incredible, a beautiful enclosed completely untouched area where you can swim, snorkel or climb on the rocks. It’s incredible! 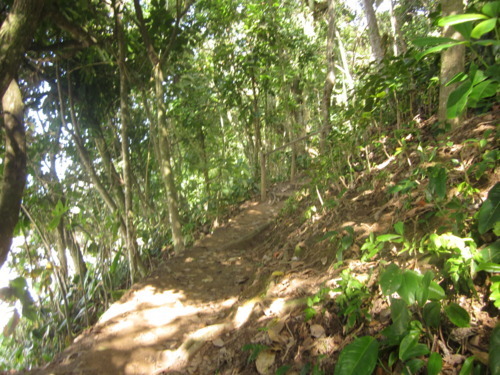 After you have had enough splashing around its time to trek/beach your way back for lunch at VAGALUME. 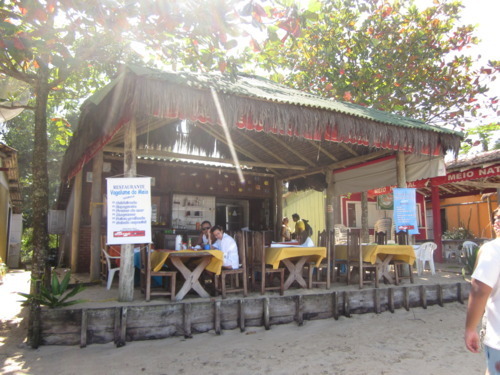 Located right on the beach near village “Ranchos” it is a fantastic spot for lunch. Considering that this is a fishing village, the menu is full of many fish choices as well as some traditional Brazilian beef/chicken options, note the yuka fries are a must try! Warning there are a lot of bees, bring bug spray and if you can, have them move your table onto the sand, its more fun, kept the bees away and when huge waves rolled in, your feet get splashed!